“Pop music shouldn’t always get a bad rap,” says Top Pops!, a recurring selection of indie pop highlights across a selection of styles, updated every month to keep you on your dancing toes. This month, Gauntlet Hair pay homage to noise pop vibes and Pure Bathing Culture get adorable, while Grumbling Fur and Dubais present a psyched-out jam and lo-fi offering, respectively. 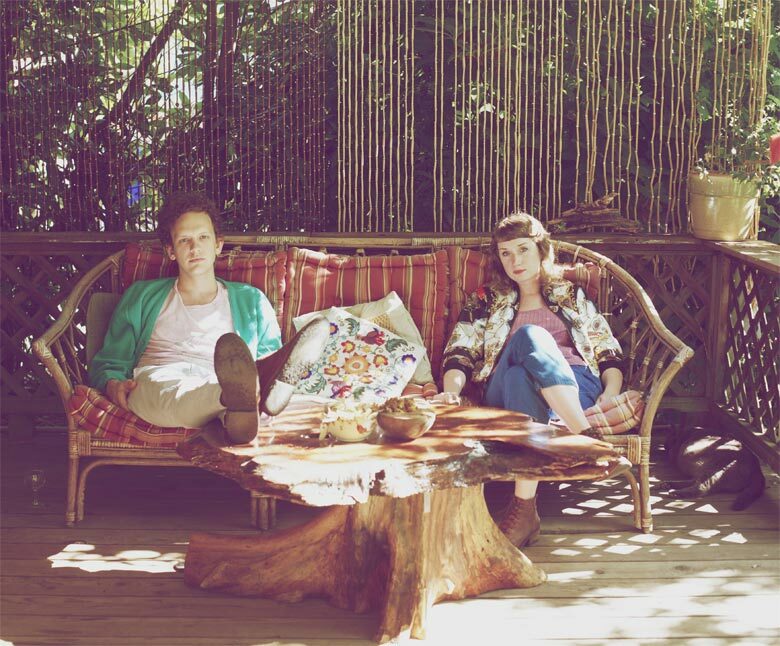 Portland favorites Pure Bathing Culture, comprised of guitarist Daniel Hindman and keyboardist Sarah Versprille, have done the boy-girl music partnership thing to great success. After blowing up the local scene with humble fanfare, they’ve taken the same type of reverb and cutesiness that has become grotesquely overdone in the indie pop genre and gone on to offer something just a bit more. It’s hard to detail just what that something is in words — but it’s a feeling evoked, of genuine pleasantries and not of fads, of beauty in wispy, fleeting moments, to be celebrated. A reminder of the passing of time in this way, “Pendulum” is the opening track of their upcoming full-length, Moon Tides, which will be released on August 20th via Partisan Records. This track has one foot in the pop realm and one foot in the hypnotic reaches of inner/outer space, but as such, is a most exciting single from Grumbling Fur’s upcoming Thrill Jockey Records full-length, Glynnaestra. This is psych-pop not in the wishy-washy, float into the ether kinda way, but in the actually mind-bending way. Helsinki-based two-piece Redder has recently released a record entitled Border/Lines, which has a least a couple outstanding tracks to take note of. The five-track EP is a low-energy combination of smooth vocals and ambient experimental backgrounds — of which “Faster” is a great, crackling introduction. Hommage is a DIY publication that pays homage to whatever — whether that be, according to their press release, “music, literature, TV shows (Firefly!! ), rabbit pyjamas, James Spader, panel 6 on page 7 from chapter 2 of the Watchmen comic-series etc.” Likewise, this mixtape is all over the place, including folk, punk, and pop in one same full-length breath… but Dubais’ “White Tiger” is definitely my favorite with its strange vocal qualities. Stream the entire mix on Bandcamp, out on Seayou Records.